When Japan invaded Taiwan, Tendin was only 12 years old and was learning the martial arts skills in the troupe. As the troupe was dismissed by the Japanese, he met a friend, Red turtle, who began to strike the jackpot in gambling to earn a living. Afterwards they decided to help the poor by robbing the rich, which drew the attention of the Japanese and made the Japanese want to capture them. If you ever buy this dvd, the synopsis on the back of the DVD does not actually appear to be of the same story told in the film. There are bits mentioned in it which do not happen in the film, and it gets several names mixed up! Despite the look of the DVDs cover, Chivalrous Legend is a far grittier film than this cover portrays. It tells the story of a righteous boy caught up in the Japanese occupation of Taiwan. 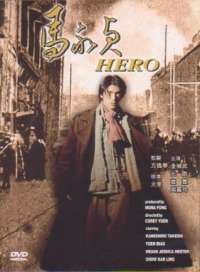 The main character in the film is a boy called Liao TenDin. We first meet him when he is 12 years old, and the Japanese are battling in villages throughout Taiwan. 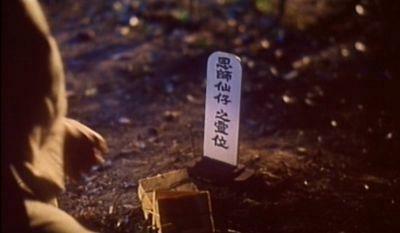 He had been brought up to be righteous and to do the right thing, but after he witnesses his mother being murdered by a Japanese soldier, he sets out to take revenge. This he does, but he is caught by other Japanese soldiers and is forced into jumping off a bridge in order to avoid being shot. "Hi ho, hi ho, it's off to work we go!" 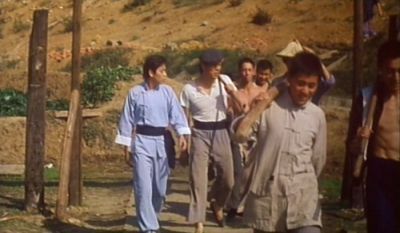 He is rescued by an opera troupe, when he learns more martial arts, under the guidance of the Master in the troupe. The story then cuts to eight years later, with TenDin grown up, but still believing in justice for the Taiwanese as much as ever. 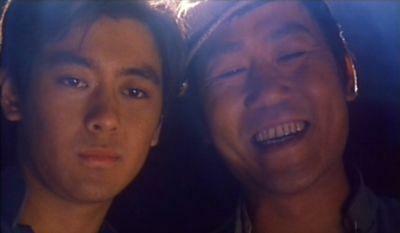 When he encounters Red Turtle, a gambler who gets on the wrong side of some Japanese, the two become friends, and start to do things to benefit their people. They steal from the rich Japanese, and give to the poor Taiwanese. "Who's got the ugliest mug then?" 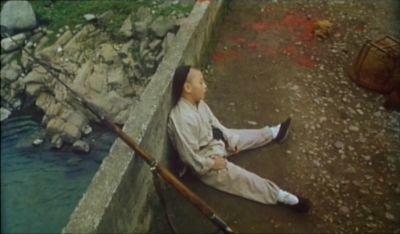 As TenDin becomes more of a problem for the Japanese officials, they begin to consider using more and more drastic methods to ensure his capture, including slaughtering a village full of innocent civillians. With an ultimatum set, TenDin, Red Turtle and the male villagers decide to make a stand. All this while a girl from TenDin's past, who was forced into being a whore before being bought by the Japanese Govenor in Taiwan, decides that she too can do something to help out her fellow Taiwanese people, who have distanced themselves from her because she is with a Japanese man. "After a hard days revenge, I enjoy my rests..."
After, and while, watching Chivalrous Legend I was quite surprised by the tone of the film. There are very few comedic moments in this film, and altogther the subject matter is very serious. I was expecting something FAR more light hearted, from the cover I thought this was going to be some sort of wuxia romance film. I couldn't have been more wrong. It is gritty, it is brutal, and it is also pretty harrowing to think something like this has actually happened. I don't know whether this story is based on fact or not, but the Japanese occupation of Taiwan did happen, and knowing this makes the film all the more realistic. "Would you come down? You're not a bloody vampire, ok?" On the whole Chivalrous Legend is a pretty decent film. The performances seem to be of a decent enough standard, but where it is let down is that in the dramatic scenes, they just lack energy. There is nothing there to get you really excited and into the film. Despite all that is going on, there is no real feeling for the characters. If this had been worked on more, the film could have involed a lot of emotions in the viewer, and made the film much more powerful. As it is, though, it does not, and this stops the film from being a very good film. As it stands, it is merely OK. My biggest complaint, however, is the ending. It builds up for a dramatic finale, but fails to deliver, and when the end comes, it is all very sudden. Maybe they were trying to show how one person's sacrifice can save so many others, or something like that, but whatever it was it could have been handled better. "I don't know what we're aiming for! Just shoot anything!" 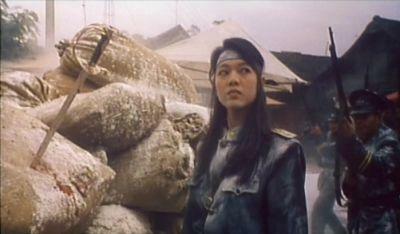 This film has a choice of either a Cantonese or Mandaring mono soundtrack. Neither of these particularly matched the lip movements at all, so I chose Cantonese as I prefer listening to this than Mandarin. Anyway, I found the sound to be somewhat flat at times. In the fight scenes it failed to pack that pumch that would make it stand out. Also, particularly when Liu is speaking Japanese to the Govenor, I found her voice to be exceptionally quiet. I don't know whether this was deliberate, or just a symptom of the post-dubbing, but whichever it is, I found it quite distracting, as subtitles would come on screen and her lips would be moving, but I couldn't hear anything! The english subtitles also left a little to be desired. Good things first though. They were a bold white font, with a black border to the letters, so they were easily readable at all times. Spelling was practically perfect at all times as well: I can't recall seeing any words mispelt. The downside though is that the grammar was atrocious. Practically every sentence was poorly structured, which is very distracting. Some of the cases it was so bad I couldn't really work out what was actually meant. This was in the minority of the cases though, but having to reorder the words in your head, remove other words and insert others just to make a sentence which makes sense is quite annoying after a while! So these really could have been better. "Well I like my lovely pink dressing gown..."
Picture quality wise I don't really have much to complain about. The print is letterboxed at possibly 1.85:1, and on the whole it looked pretty clean. There were very few notices of speckling on the print, and I don't recall seeing much else to complain about in that department - very little grain, no noticable artificing. However, the picture was a little soft. 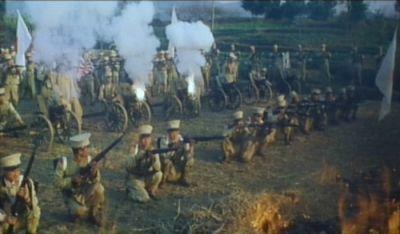 Fine detail and vibrant colours weren't really apparent in this film. The lack of vibrant colours may have been the way it was initially filmed, but the detail level on the print could have been better. Still the print was at least rather clean, so I can't complain too much! "Nothing to see here... Move along." The DVD is a rather strange one. Reading its back cover, the synopsis gives some details which definitely relate to this film, but other details which don't relate to this film. This leads me to believe one of two things. 1) There was a big admin error over at Universe when this DVD was released, and they wrote a false synopsis, or 2) this film has been heavily cut. I'm tempted to believe the latter. 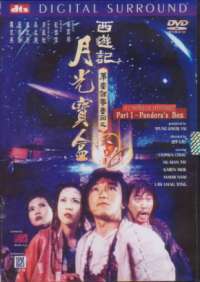 There were many scenes throughout the film which looked as though they had been cut, and the rather sudden abrupt ending, could possibly mean that the ending which is told on the back of the dvd has been cut from this film. Either way, I find this quite strange! As for extras, there are absolutely none. You get a static menu for choosing language and subtitles, and that is it. On the whole a rather poor show! "The white flakes are not my dandruff!" 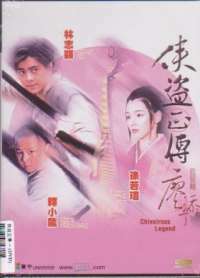 Chivalrous Legend is a film I found to be rather surprising. Mostly because it was not the type of film I was expecting. This obviously is purely my fault. Nonetheless, it is still an OK film, covering a very gritty serious topic. Unfortunately I think it could have been done so much better. It lacks that edge, and the power that could have lifted up another level or two, as such, for me, it is just another watch once film that could have been better than it is. Which is a shame. If this version is as heavily cut as I am thinking it is, I would definitely be interested in seeing an uncut version to find out whether that would make the film better.